As unfathomable as it may seem, this year is already over! The Christmas season just flew by and now the pre-New Year’s Eve jitters set in. You know that last minute frenzy leading up to New Year’s Eve… Should we go out or stay in? Will it be too crowded? Who is going to drive? What should we drink? While I can’t help you with the driving that night, I can lend a hand in selecting some tasty Sparkling selections for your festivities. Below are my 5 Favorite Bubbly options from $15-50. La Marca Prosecco – For around $15 I don’t think it gets much better than this Italian sparkler. Dry and zesty, the sweet honeysuckle notes enhance the core fruit of apple and peach while the crisp acidity runs straight through to the finish. Domaine Carneros 2009 Ultra Brut – This Taittinger owned winery makes some of the best sparkling juice in all of Cali, and at $25 this is easily their greatest value. Aromas of lime zest, lemongrass and lovely floral notes lead to a dry and complex palate of apple, marzipan and almost flinty minerality. Sparkling Pointe Brut – Keep it local and drink some tasty Long Island sparkling this New Year’s! Delicate, yet not simple, on the palate with lemon citrus and green apple fruit. Those classic yeasty and biscuit flavors find their way towards the finish leaving you looking for your next sip. Not a steal at $30, but Long Island real estate ain’t cheap. Charles de Monrency Brut Reserve – A ‘grower’ Champagne that has all the quintessential qualities of top vintage offerings that are twice the price. 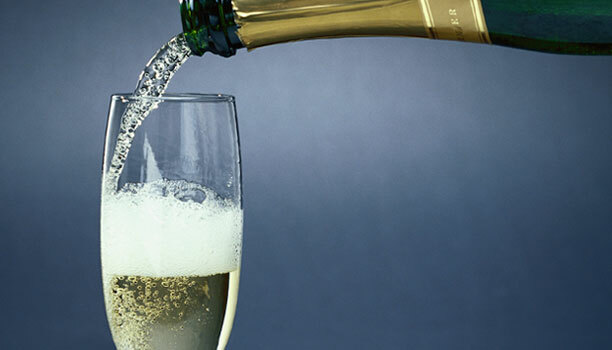 Fine and lengthy bubbles lead to nutty, honied and toasty aromas and flavors. The biscuit and melon notes on the finish hang around long after the juice is gone. A lucious, mouthfilling mousse on this one as well. Piper-Heidsieck Cuvée Brut – Without question my favorite Champagne for around $40+. It has that dry and crisp minerality that balances harmoniously with the citrus, green apple and subtly yeasty notes. For my palate this is as good as it gets under $50. Whatever you choose to sip on this New Year’s Eve be sure to enjoy with family and friends, as that is sure to enhance any Sparkling experience. Have a Happy and Healthy Y’all, catch ya in 2015! What do you open to celebrate those big moments in life? To follow up on my Father’s Day post, this week my wife gave birth to a healthy and beautiful baby girl and we couldn’t be more thrilled. It’s one of those surreal events that changes your life forever and is deserving of a proper bottle to celebrate the occasion. While it may seem like a trivial afterthought considering what a blessing it is just to have a healthy child enter the world, it’s those small yet meaningful celebrations that can stick with you for years to come. I still remember my epiphany wine (the bottle that first sparked my passion), the bottle I opened when I proposed to my wife (and she miraculously accepted), the over-sized bottle we had everyone sign at our wedding, the bottle we opened to celebrate my son’s birth and the bottle we served at his Baptism (coincidentally the same bottle from our wedding). So deciding what to open with my wife to celebrate this joyous occasion is not so trivial in my book. Over the past day or two I have had some internal debate about the subject. My first instinct was to go with a high end Napa Cab that we acquired from one of our trips to wine country. While it would clearly be delicious and memorable, without the right meal it may be a bit overpowering. I’m not sure we are quite ready to fire up the grill and cook up some big boy steaks to pair with such a wine just yet. So I thought about a Pinot Noir from the same trip, something that may not need the meal alongside it to enjoy. But Pinot is not really my wife’s favorite and I want it to be as enjoyable for her as it is for me. The purpose of saving those special bottles, and opening the right ones at the right time, is all about creating long lasting and meaningful memories. I am sure I’m not the only one that associates certain wines with monumental events that are relived when that same bottle is opened at a future time. Wine can encompass so much nostalgia and emotion which is one of the main reasons people (including myself) are so passionate about it. It’s not just about drinking, it’s about embracing and celebrating life with those that are closest to you. So the next time you are in the midst of an occasion that is deserving of opening a special bottle, take some time to think about what you select. After all, it may be something you hold with you for many years to come.